Without movement, the human body will decay. Isn’t that word ugly? DECAY. Use it or lose it. We sit more than ever as a society. We live in a society of comfort. Any typical day we go from our beds to our cars, to our desk, to the dinner table and then back to bed. Even if you are working out 3-5 days a week that is not enough to un-do all the negative effects of how much time we sit. We are sicker than ever as a society and lack of movement is one of the reasons why. It doesn’t have to be this way. You have to make movement a part of your everyday routine. Not only will you feel better when you do, but you will notice more energy and a more positive outlook as well. Moving brings us back to the origins of the human body and how it has been designed. There are so many ways to move more. 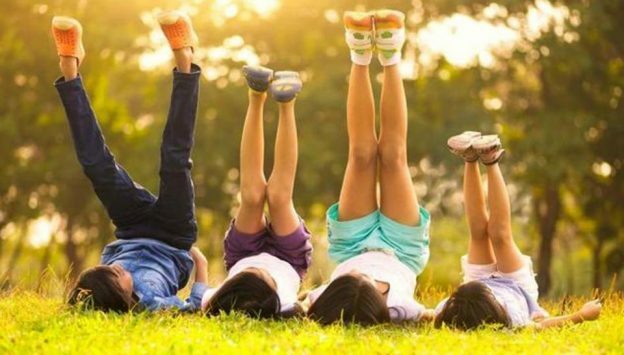 Get up from your desk and walk, park further away, take a daily walk, learn a new sport, dance, go for a bike ride, play at the park with your kids, walk the curb like a balance beam, do jumping jacks, crawl and on and on. The list is endless. If you have young kids watch how they move their bodies. They are always in motion. That is our normal and we should strive to be more like them. I recently bought a slackline. My kids and I will ride our bikes to the park and then set-up the slackline. It’s hours of fun and talk about a physical challenge! The more you can challenge your movement patterns in new ways the better it is for your body and your mind. Movement should be fun. It doesn’t have to be going to the gym if that is not something you enjoy. Find things you like and that get you excited; those are the things you should do! What fun and exciting ways do you like to move your body?